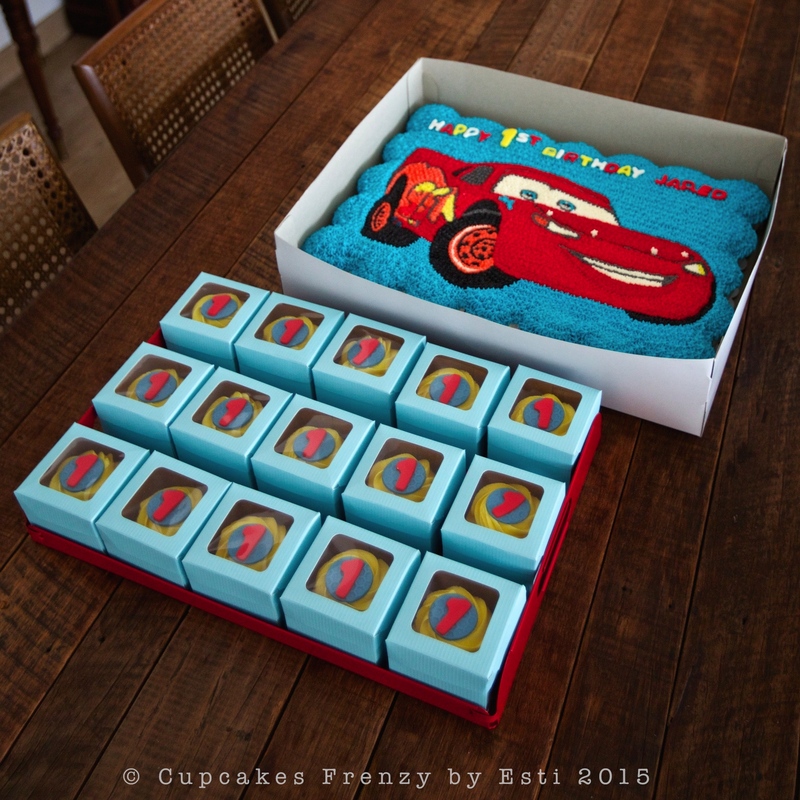 Jeff asked me to do a pull apart cupcakes cake of Lightning McQueen for his son, typically referred to by his surname McQueen, is an anthropomorphic race car in the animated Pixar film Cars (2006), its sequel Cars 2 (2011) and TV shorts known as Car Toons. 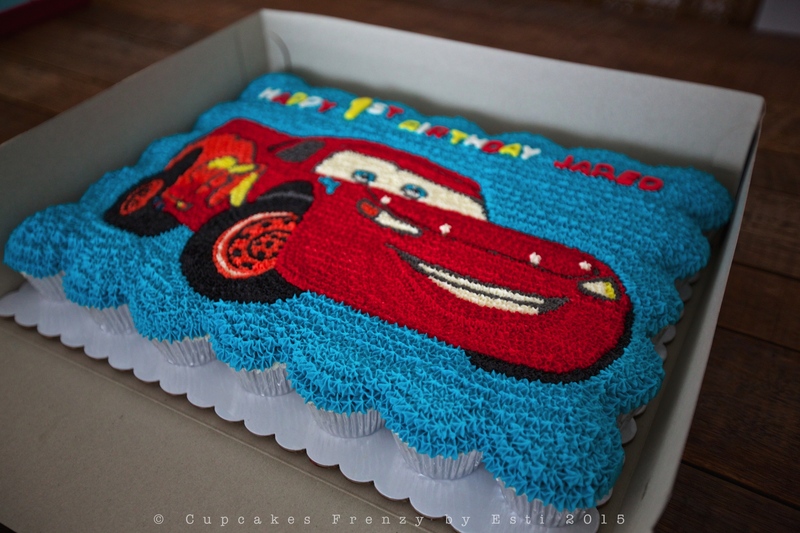 I really enjoyed transforming the cupcakes cake with this famous character (we went to see him at Disneyland Hongkong! 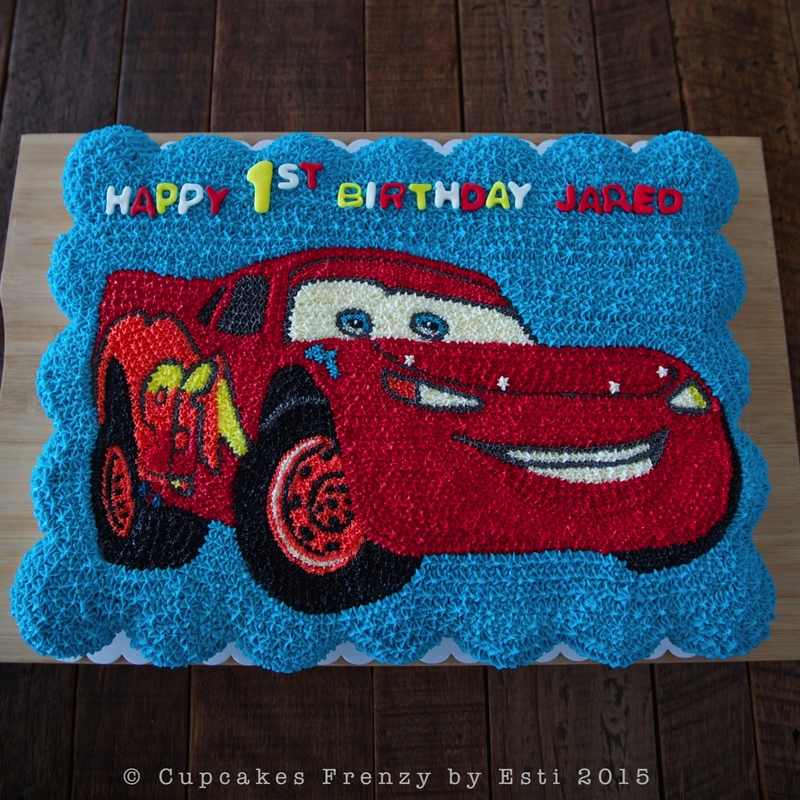 ), love the bold colours and his smiley face. 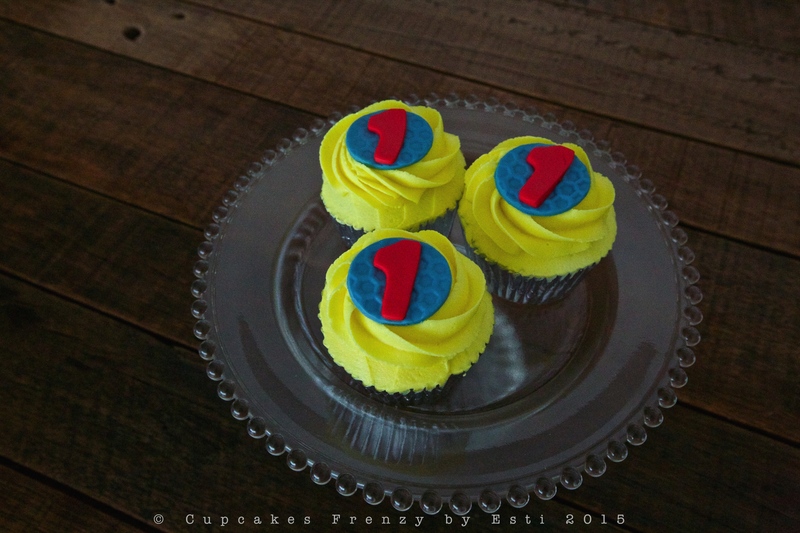 Did several individually wrapped cupcakes with number 1 pin up in matching colour as well for the party favour. 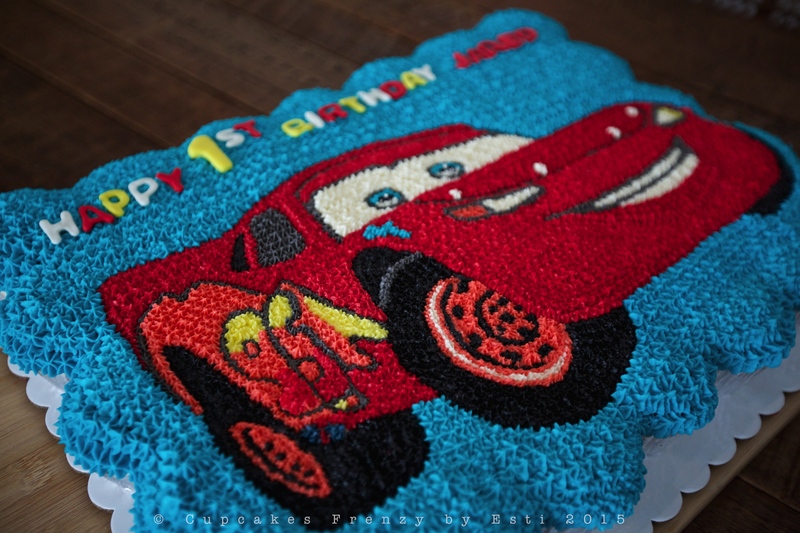 This entry was posted in birthday, buttercream, cameraholic, cupcake, favourite, note from the baker and tagged 1st birthday, baked from scratch, birthday celebration, birthday cupcakes, birthday party, boys, disney car, edible art, Gift Ideas, lightning mcqueen cupcake, Manila, McQueen, pull apart cupcakes cake. Bookmark the permalink.